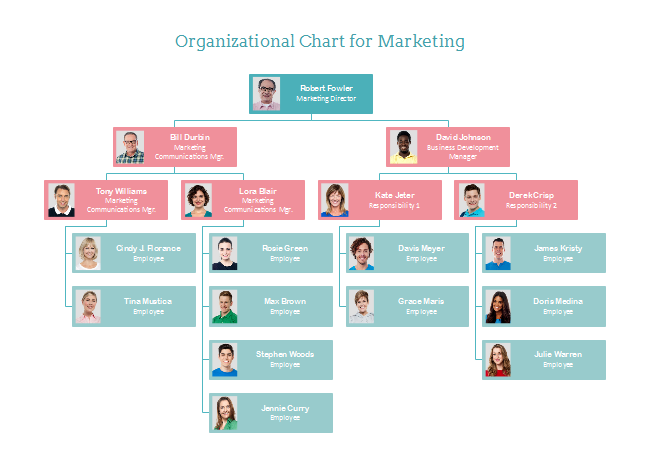 Here is some org chart with pictures templates for your reference. These templates are well designed, perfectly aligned, spaced and colored. See the following screenshots. 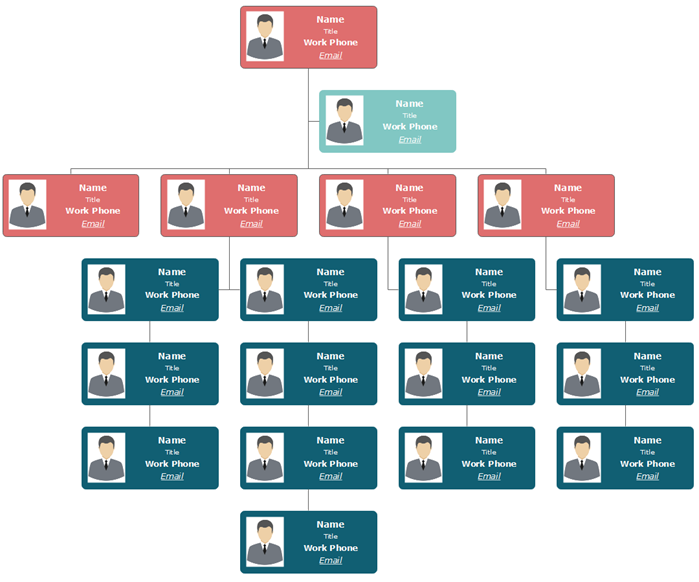 Our org chart creator supports to insert photos into org chart easily. You just need to click on the target shape’s floating button. 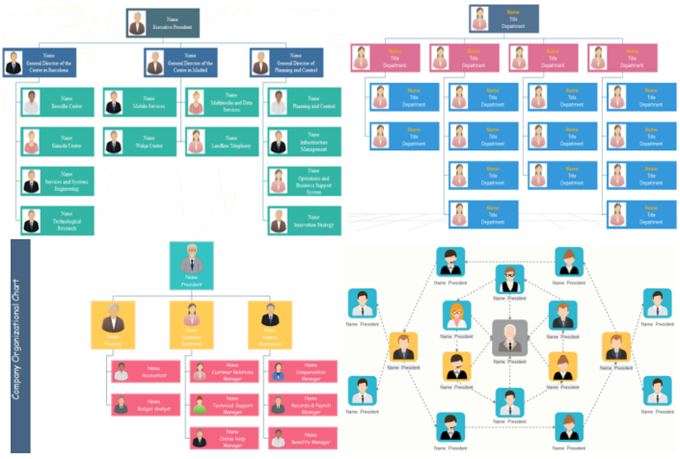 What is amazing about our org chart creator is that each inserted photo is glued to its target shape. They won’t separate when you move shapes or the whole org chart. 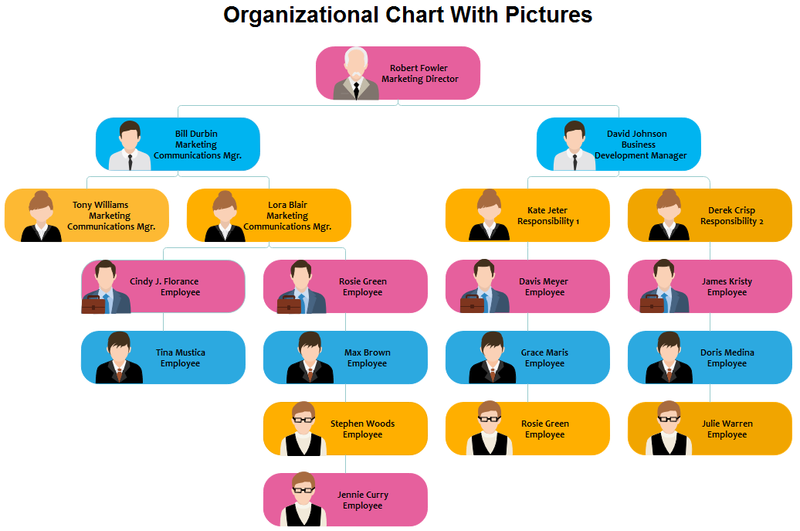 After you replace the photos in the org chart templates, the program automatically resizes the photos to fit the shape. You can also reduce photo size by dragging their blue square handles. After you select the shape, click on the default picture to show the blue selection handles.